The most decorated U.S. triathlete is now searching for what's next. 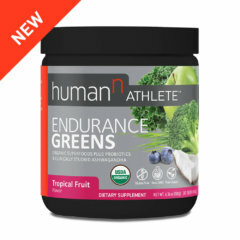 He has been part of the HumanN® team for the past two and a half years and is a father of four, an aspiring author, and the most decorated U.S. tri-athlete in history. Read more to discover what inspires this devoted family man, 4 time Olympian, and 7 time U.S. Elite National Champion to live to his full potential. I've been to the Olympic Games four times, always with the goal to come home with a medal. Unfortunately I have never been able to accomplish that goal. I've learned that it's important to appreciate the process and the journey more than getting caught up in the final result and destination. Hunter Kemper on the Olympics, his family, and searching for what's next after a decorated triathlete career. Currently residing in Colorado Springs, CO, Hunter has been lucky enough to go to work at his dream job every day for the past 18 years as an elite professional triathlete. His stellar career is a testament to the power of hard work, determination and perseverance. Not only is he a 4 time Olympian, 7 time US Elite National Champion, and the only triathlete to ever appear on a Wheaties box, he is a devoted family man. He and his wife, Val, are the parents of three young sons and a little girl. His love for kids and his desire to help them achieve their goals is a passion of Hunter's as he looks to his future beyond competitive racing. We sat down with Hunter to talk about not just what he’s accomplished in his athletic career, but as he looks to transition from the only job he’s ever known, what he is searching for to do next. Let’s start with some easy ones, what’s your favorite meal of all time? And what’s your guilty pleasure (or two)? Easy, my favorite meal of all time is the spaghetti casserole that my Mom makes with love. And my guilty pleasures are double-stuffed Oreo’s and Mountain Dew. Ok, now that the easy one is out of the way, how did you first get into the sport of triathlon? And what was the moment that you realized you could actually make a career of it? I first started in the sport of triathlon back in 1986, when I was 10 years old, in Clermont, FL (suburb of Orlando). A couple of swimming friends of mine asked me if I wanted to do a triathlon and I thought it would be a lot of fun. The distance I raced in my first triathlon was a 100m swim, 5k bike (3.1 miles), and a 1k run (.6 of a mile). I won the 10yr. old age group and got to stand on top of the podium. What I don’t usually tell anyone (so keep this between us) is that there were only two other 10yr. old kids in the race that day. So everyone got a medal! I dreamt of making a career in the sport of triathlon at a very young age. After I won the USAT Youth National Championships 4 years in a row in my age group and saw myself in Sports Illustrated “Faces in the Crowd” section with Larry Bird on the cover, I knew that I wanted to be professional triathlete. The moment I REALIZED that I could truly make a career in triathlons was the Summer between my Sophomore and Junior year at Wake Forest University. The Summer of 1996 I competed at the ITU World Junior Triathlon Championships in Cleveland, OH, and finished 6th in the world. I knew then that if I worked hard and dedicated myself, I could be the best in the world as a professional triathlete. I reached my dream of ITU Ranked #1 in the World in 2005 and 2006. Looking back at your decorated career, what would you say is your greatest accomplishment? I'm one of only two triathletes in the world to compete in all four Olympic triathlons. The other triathlete is Simon Whitfield (CAN), who is retired from professional triathlon. But you are the only triathlete to ever appear on a Wheaties Box! For those of us who have never seen our face on the side of a cereal box, what was that like for you? When I first saw my face on a Wheaties Box in 2007 I couldn’t believe it. As a kid growing up eating Wheaties cereal and wanting to be like other professional athletes who graced the Wheaties box - Michael Jordan Greg Lemond - I was so excited when I saw my box in the Safeway grocery store in Colorado Springs. I took my wife in the store with me to take some pictures of me standing in the grocery store aisle with my Wheaties box. I felt like I had to ask the checkout lady if she recognized that person on the box. She said she didn’t and then I said "are you sure, look a little closer.” She then looked back at the box and back at me and realized that I was the one on the box. She seemed pretty shocked, but it was really more enjoyable for me. You recently made a bid at a record-breaking fifth U.S. Olympic Team berth in Rio de Janeiro in 2016. Unfortunately it was just not in the cards. Now that you have had a while to reflect, what was that experience like for you in the moment? And what do you think you’ll miss the most from competing at an elite level? I’ve been very blessed to be able to compete as a professional triathlete for the past 18 years. It’s the only career I’ve ever had and the only career I’ve ever wanted. As one of only two triathletes in the world to compete in 4 Olympic Games (2000, 2004, 2008, 2012) in triathlon, I was trying to make it back to a fifth Olympics in Rio. I went to all the qualifying events last year, but wasn’t able to make my last Olympic qualifying race on May 14 in Japan this year. I had surgery on my left big toe in late January which prevented me from competing in events this Spring that would've allowed me to compete in my last Olympic qualification event in Japan. Even though I wasn’t able to make it to Rio and represent TEAM USA, I truly enjoyed the journey of trying to make it to 5 Olympics. I have a beautiful wife, Valerie, and 4 precious kids (Davis, 9; Hudson, 6; Case, 4; Price, 2) who love me no matter if I’m an Olympian or not. It’s comforting to know that God is in control of my life and even though I wanted to go to Rio, God has other plans for me. I look forward to using my God given talents in whatever is next for me in my life. I’m going to miss a lot of things about competing in the sport of triathlon as a professional athlete. However, I think the one thing I’ll miss the most is that every day I got to wake up in the morning knowing that I got to train and compete in a sport that I loved. I got to train and compete around the world at the highest level and it was the greatest job in the world. I loved sharing those experiences with my best friend and wife, Val. I got to travel the U.S. with all my kids and competed at the London Olympics with my oldest son, Davis, watching me and cheering on Daddy. I'm going to miss the daily routine of pushing your body everyday to see if you can reach a dream that is so BIG you need everyone around you to help you get there. What does a typical day look like for you as you balance training and family? 6:45 am: Wake up and grab a quick bite to eat on the go before heading to the Olympic Training Center. 7:30 to 9:00 am: I swim with a group for about an hour and a half, getting in about 5,000 meters (or 3.1 miles). 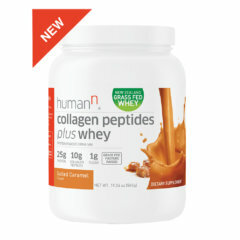 Then it’s time to grab a protein bar and maybe a banana before my run! 9:30 to 10:30 am: I go for a 8-10 mile run before heading back to the Training Center and get in a late breakfast that usually includes a three egg omelet filled with veggies, a smoothie, and a bowl of oatmeal. 11:30 to 1:00 pm: This is my relaxation time. I typically am able to go home to rest and relax and take care of any business e-mails that are sitting in my inbox. While at home, I’ll eat lunch before heading out on a bike ride. 2 to 4 pm: My afternoon bike ride is about 35-40 miles and I try to finish up early enough to play with my kids for a little while before dinner. 5:00: We love to eat dinner as a family, and follow that up with playing ball with the kids in the backyard. We then start to get the kids ready for bed. I’m in charge of giving baths. 7:30: On a good day we’ll have the kids in bed by now so that I can chill out and relax with my wife in the evening before going to bed around 10:00 pm to get plenty of rest to do it all over again tomorrow! We know that you have traveled a lot, both professionally and personally. What has been your favorite trip of all time? We took a three week trip to New Zealand in 2005. I went to New Zealand with my wife, Val, in 2005 for the World Championship Final, and I won the World title at the end of the 2005 season and vacationed across the North and South island of New Zealand for two weeks after. The country of New Zealand is the prettiest place I’ve ever been. If you haven’t been you need to make it a bucket list trip sometime during your life. Let’s shift to life outside of triathlons. What other interests do you have? As a family we sponsor four kids through Compassion International. We sponsor one Compassion child for each kid we have. As a family we love the organizational mission of Compassion International - to release children from poverty in Jesus’ name. My other interest outside of triathlon is my family. I met my wife at the Olympic Training Center in Colorado Springs. She was an alternate for the USA Olympic Women’s Indoor Volleyball Team at the 2000 Sydney Olympics. My four beautiful children (I’m a little biased) are my life. I have 3 boys and then a little girl at the end. They push me to be a better father every day. We’re sure that there have been a number of influential people in your life. But at the end of the day, who do you admire the most? My dad has been the one I’ve looked up to and admired my entire life. He treats everybody with respect and kindness and has been an amazing example and role model to me. What does being “HumanN®, to the Power of N” mean to you? Striving to be the best triathlete I can be. Striving to be the best father I can be. Striving to be the best husband I can be. Striving to be the best friend I can be. Striving to be the best me I can be. Each day is a new opportunity to grow and strive to reach my full potential. So what’s next for Hunter Kemper? For the past few weeks I’ve been waking up and asking myself the question of “what’s next” or “now what?” What I do know is that I don’t want to rush into anything and want to take my time to see where God leads me and what doors he may open. I’m working on the beginning process of what it would take to write a book. I never thought that I would ever write a book or even had a story that people would want to hear. I look forward to going on this journey of writing a book and seeing where it leads. I love public speaking and enjoy communicating with others. I’m going to work very hard to get better at public speaking and learn from those that are at the top. Motivational speaking is a very competitive industry and one that I would love get myself involved in. I enjoy sharing my Olympic stories in a fun and engaging way with people across the country. So if you need someone to come to your business, community, school, organization, etc., and motivate your employees, I may know a guy:). 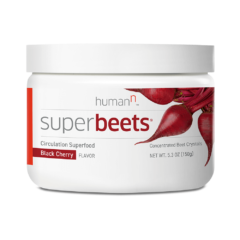 Developed to support fitness, BeetElite is a pre-workout formula that delivers the Nitric Oxide equivalent of 6 whole beets. 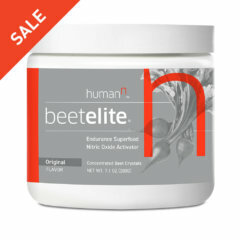 Join athletes of all levels in harnessing the performance power of BeetElite. Convenient travel-sized BeetElite packs are great on-the-go, at the gym, or on race day. 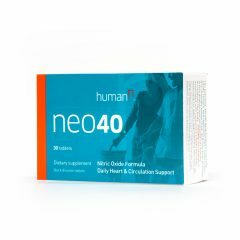 Out patented, clinically-researched Neo40® daily formula may help restore and replenish your body's Nitric Oxide levels. 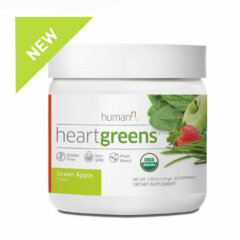 Healthy and effective, with over 23 million tablets sold to date.